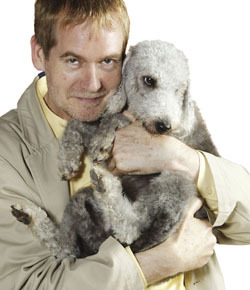 Ryan O'Meara has very kindly let me know about the part two to the recent blog where the Beeb looked to be going a bit wibbly wobbly about whether it was to continue its positive uncritical coverage of Crufts post-Pedigree Dogs Exposed. I must apologise that a mistake made in our complaints handling system meant that you (and one other person) were sent an explanation of why the BBC shows Crufts. This was our reply to viewers who had contacted us telling us they generally felt that the event was cruel and pre-dates the transmission of ‘Pedigree Dogs Exposed’. Following the broadcast of ‘Pedigree Dogs Exposed’ we are in discussions with the Kennel Club about our coverage of Crufts and this has been our reply to others who also contacted us following the transmission of the programme. So I would be grateful if, on your blog, and its comments, you would now correct the wrong impressions which have arisen following our error. We have ensured this should not happen again and I hope this now makes the BBC’s position clear." So deep breath - everything seems to be okay! Well, thank goodness for that. I was just about to write yet another letter to the BBC about their fluctating responses when I read the new post. The Kennel Club talking about needing legislation is pure BS. Don't fall for it. They just saw an opportunity for a power grab. What they need to do is very simple - start acting responsibly!